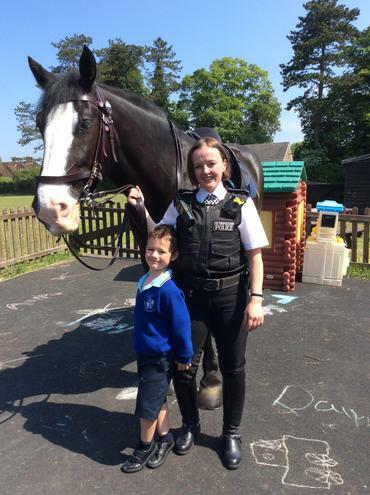 We were so lucky to be visited by Henry’s Mummy PC Harber and her colleague PC Hyde on their beautiful police horses. 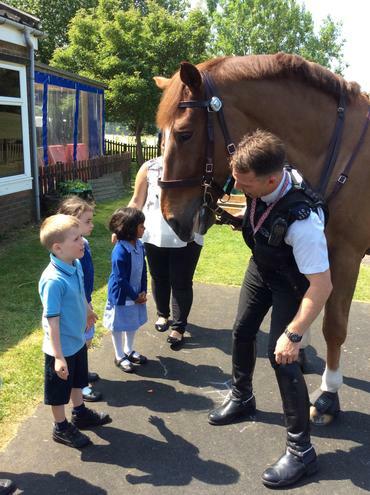 They told us lots of information about their jobs as police officers and the children were able to stroke and feed the horses. We then watched them cantering around the school field before they had to leave. A huge thank you to Henry’s Mummy for such an awesome visit.